Northerner editors Josh Kelly, Nicole Browning, Sam Rosenstiel, Natalie Hamren and Kane Mitten at the Kentucky Press Association Conference and Awards, Jan. 25, 2019. Former Editor-in-Chief Mackenzie Manley won first place for Best Column. Video reporters Katherine Veith, Emma Wilson and Jen McMahon won first place for Creative Use of Multimedia. The Northerner staff won first place for Best Front Page. Manley and Editor-in-Chief Sam Rosenstiel won second place for Best Enterprise or Analytical Story. Photo Editor Colin Johnson won second place for Best General News Photo. The Russ Metz Memorial Most Valuable Member Award, traditionally given to a Kentucky journalist who performed the most outstanding service, was instead awarded to the staffs of all state college student publications. The Northerner was recognized alongside The College Heights Herald (WKU), The Kentucky Kernel (UK), The Murray State News, The Eastern Progress (EKU), The Louisville Cardinal and more. The Northerner was recently recognized nationally for its coverage of sexual misconduct, sports photos and editorial illustration. 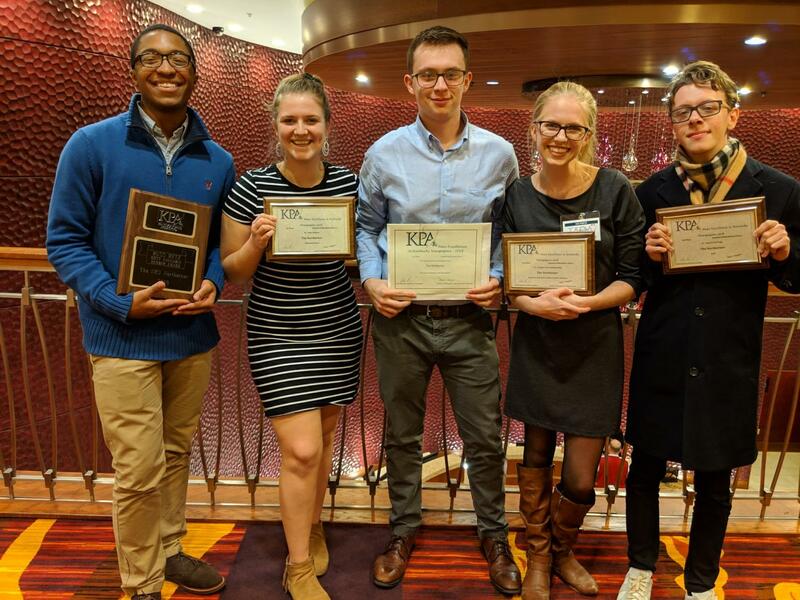 KPA, which celebrates its 150th anniversary this year, is an organization for the advancement of professional and student journalists, and its Kentucky Intercollegiate Press Association supports student news publications around the state.